The Trust Annual General Meeting will take place at the Three Arches pub in Heathwood Road, Cardiff, on Thursday, June 14, starting at 7 pm. 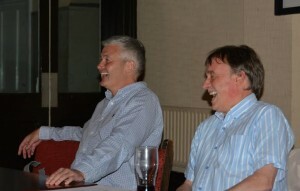 Once the business of the AGM has been concluded, BBC Wales Soccer Commentator Rob Phillips (right) and Bluebirds legend, Jason Perry, will once again host our annual fans’ forum. This will provide a great opportunity for members to talk about all-things Cardiff City and get Rob and Jason’s verdict on the momentous 2017-18 season and the prospects for the club going forward to next season, hopefully in the Premier League. We look forward to seeing members at the AGM and the fans’ forum following. It should be a great night of football chat. All CCST Members should by now have received a letter regarding the forthcoming Election to the board of the Trust. The letter not only asked for nominations to stand for Election to the board, which we encourage members to do but also enclosed a Data Protection consent form and a stamped addressed envelope. Even if you don’t wish to stand for Election it is imperative that you at least sign and return the consent form as, under the forthcoming new Data Protection regulations, it will not be possible for the Trust to comply with them without your explicit consent. If you have not received the letter in respect of the forthcoming election, please E mail us at members@ccfctrust.org and we will arrange for one to be sent out. The CCFC Trust Election Policy and Procedure document is available to download. Trust chair and accountant Keith Morgan takes a close look at the financial results at some of Cardiff City’s Championship rivals for 2017. Trust chair Keith Morgan, aa accountant and football finance expert, gives his analysis of the latest audited accounts for the year ended May 31, 2017 submitted by Cardiff City Football Club (Holdings) Limited. The following is my commentary on the recently filed audited accounts, which were signed off as approved by the board of directors onFebruary 21, 2018. There was a net loss for the year of £21.1m, which is up substantially from the loss of £8.7m in the previous year. As a result of the above losses , despite a new share capital injection of £8m created by a conversion of debt into shares by the owner, the net deficit on the balance sheet increased by £13.1m to £80.9m. The club remains critically dependent upon its owner Tan Sri Vincent Tan, who is by far its largest creditor, for its ongoing financial viability. The club are confident that, because of all the work to date that has been done to date on the club`s finances, it will be compliant with the Profitability and Sustainability (previously Financial Fair Play) requirements for the period covered by the accounts under review. This fell in the year by £4.4m, primarily as a result of lower income from centralised broadcasting and commercial distributions (which include “parachute payments”) which fell by £4.3m. Gate receipts and match day income also fell by £0.6m, while sponsorship and other commercial income rose by £0.5m. The club`s policy of making efforts to reduce its wage bill continued during the year, leading to the substantial fall summarised above. Players` wages and salaries at £20.6m fell to 71.6% of total income compared to the figure of £25.4m in 2015-16 which represented 76.6% of total income. In the year to May 31, 2016 the club benefited from a debt write-off of £10m by its owner Tan Sri Vincent Tan. It also benefited from a one-off business rates rebate of £0.4m. Neither of these benefits were repeated in the year to May 31, 2017. In 2015-16 the club had a cost of £2.2m arising from the termination of certain employee contracts. This cost was not repeated in 2016-17. The net effect of the above exceptional items not occurring in season 2016-17 was to increase losses by the £8.2m referred to in the above summary. The loan discounting charge on the long term loans provided by the owner increased from £1.2m to £5.8m as a result of a technical accounting treatment required by accounting standards rather than a “trading” cost. Interest payable on loans provided to the club by Tormen Finance Inc. , in which the club`s Chairman Mehmet Dalman has a significant interest, went up by £1.0m. This was due to the fact that Tormen made further loans of £6m to the club in the year taking the amount owed to it up to £11m as at May 31, 2017. Interest on these loans was charged at a rate of 8% p.a. and the loans were secured over assets of the football group companies. It should be noted that no interest was paid on the debt due to the club`s owner in the year, all interest accruing (at a stated rate of 7% p.a. on part of the debt) being waived by him and therefore becoming non-payable. This resulted in a saving to the club of approximately £2m in interest charges for the year ended May 31, 2017. In season 2016-17 the club made a profit of £5.5m from the sale of players (comparing realised sales values with the players` net book value at the date of disposal) compared to a smaller profit of £2.5m in the previous season. This is principally as a result of a reduction of £3.0m in an item “impairment of intangible assets”. A player`s cost to the club is written off over the length of the contract given to him. So a £3m signing on a three year contract is shown as a cost of £1m in the first year after he is signed, reducing his value in the books to £2m after a year. Every year the club is obliged to compare the total written down cost of the whole squad against their likely real value (sometimes a sale after the season end establishes that value with certainty). At the end of season 2015/16 the club considered the true value to be £3.8m less than the written down value in the books, so made a further charge of that amount in the audited accounts. At the end of season 2016-17 the comparative further write down considered necessary was only £0.8m , so an improvement of £3.0m in this annual cost. Having discussed the matter with the club (as the breakdown is not available in published accounts), the increase in other costs of sale (i.e. excluding player wage costs) results from increased spending on loan players and agents fees, plus some costs associated with early termination of player contracts and some amendments to non-playing staff contracts. The loan costs and some agents fees are instead of expenditure on permanent player contracts, and the contract termination costs will reduce future wages costs for the players involved. I have no knowledge of who benefitted from improved contracts but, as a fan, if it relates to retaining the management team who have done so well to improve the team on the pitch , then my opinion is that it is money well spent. As stated in the key findings near the start of this report, the club had net liabilities of £80.8m as at May 31, 2017. This comprised of £71.2m of assets and £151.9m of liabilities. The various main assets and liabilities are commented on below. The total recorded value of the playing squad as at May 31, 2017 was £3.4m. A note to the accounts records the fact that the contracts relating to those players over which that value would be written off was of an average 16 months duration. The club added £5.9m of player registrations and released players with an original cost of £9.1m in the year. In season 2015/16 it had added £2.4m of players and released players of cost £2.0m. This had a value of £51.8m, down from £54.8m in the previous year due to a normal depreciation charge. The club had £9.3m of cash at the balance sheet date. It had £6.4m due to it, including £1.3m due in respect of football receivables (balance of transfer fees etc.). Stocks (club shop etc.) were just under £0.2m. These were liabilities as at May 31, 2017 payable by May 31, 2018. They totalled £36.1m, of which £11m was due to Tormen Finance (see above) and £8.8m was normal business cost accruals and deferred income (season ticket money for season 2017/18 already received in 2016-17). Other borrowings of £11.2m represent 3rd party funding (identities unknown) received against the guaranteed future income stream from broadcast revenues (parachute payments). These fall due for payment sometime afterMay 31, 2018 i.e. more than 12 months after the balance sheet date. By far the biggest debt due in this category is a debt of £115.1m (of a total of £115.8m) mainly due to the club`s owner Tan Sri Vincent Tan. This amount is £14.3m higher than a year earlier, despite £8m of the earlier debt having been converted into shares during the year indicating that substantial further loans were made by the owner to the club during the 2016/17 season. Of the above total of £115.1m, £80.5m is non-interest bearing and does not carry an option to convert into shares. The remaining £34.6m is interest bearing at 7% p.a. (but the owner waived his right to interest for the full year) and carries the right to convert into shares at the owner`s option. After the year end, in June 2017, the owner converted a further £12.7m of debt due to him into shares to improve the balance sheet position. The club made a net loss of £21.1m in season 2016-17, up £12.4m compared to the loss of £8.7m in the previous season. This was largely as a result of a lack of the benefit of a £10m debt write-off which happened in 2015-16 but was not repeated in 2016-17, coupled with some technical accounting adjustments needed to be made to comply with Accounting Standards (the cost of which was up £4.6m compared to the previous year). The club are confident, after adjusting for the above technical accounting matter and other costs allowed for under the Profitability and Sustainability regulations, that it will remain compliant with those regulations for the period covered by these reviewed accounts. The work required to maintain the club`s financial viability remains great , with even more work being required going into season 2018-19 when the club will no longer be in receipt of its parachute payments. This income will need to be replaced by alternative income streams, by further cost reductions or probably by a combination of both. 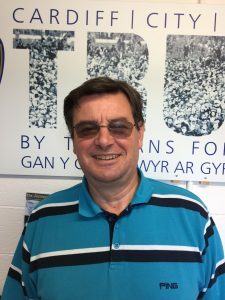 Trust board member Kieran Jones reports from the latest Supporter Liaison Officer (SLO) meeting. The Police have had some major problems with Cardiff City fans over the past three games with pyrotechnics/flares. It is the first time in over 20 years that for three games in succession there have been cautions and arrests for pyrotechnics/flares. The club will now be updating its fans’ charter in the next coming weeks. South Wales Police will caution/arrest that individual as it is a criminal offence to enter a football stadium with a pyrotechnic/flare. There will now be a ZERO policy on this. If a flare is dropped on the floor near you, under NO circumstances pick it up.If you pick it up even to move it for safety reasons you will be arrested and banned for 3 years. Easiest action is either kick it away safely or best still move away from it. The club will not issue cautions, this will be an immediate ban.